These might just be the happiest chicken chirps ever heard. 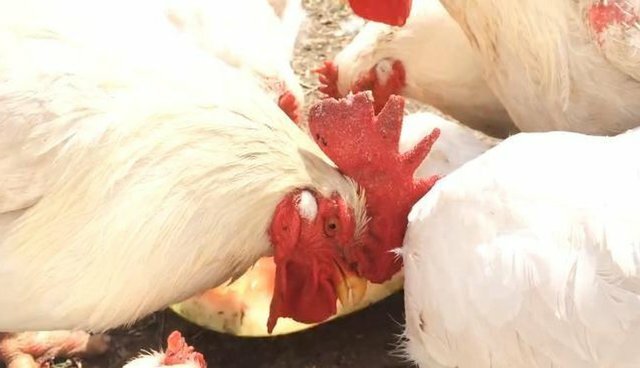 A group of lucky hens at New York's Woodstock Farm Animal Sanctuary recently received a very special treat: a delicious watermelon rind. And they were over the moon about it. A video released by the sanctuary shows the whole flock gathered around the watermelon, eagerly bobbing their little heads in for a bite. At one point two of them even get into a scuffle over the treat. Watch below to hear their adorably excited clucks.